A selection of the mapping and resources produced by HCCREMS are summarised below. Please check our online Resource Library or call/email us to obtain copies. The NSW Biodiversity Conservation reforms commenced on 25 August 2017 which introduced a new approach to land management and biodiversity conservation in NSW. These changes introduced a Biodiversity Offset Scheme (BOS) for people who wish to clear native vegetation on their land. The Biodiversity Conservation Act 2016 (BC Act), the Local Land Services Act 2013 (LLS Act) and State Environmental Planning Policy – Vegetation in Non-Rural Areas (Vegetation SEPP) were introduced via as a staged process with a number of transitional arrangements. Transitional arrangements have now ceased for local developments under Part 4 of the Environmental Planning and Assessment Act 1979 (EP&A Act) within all Councils in the Hunter Region. 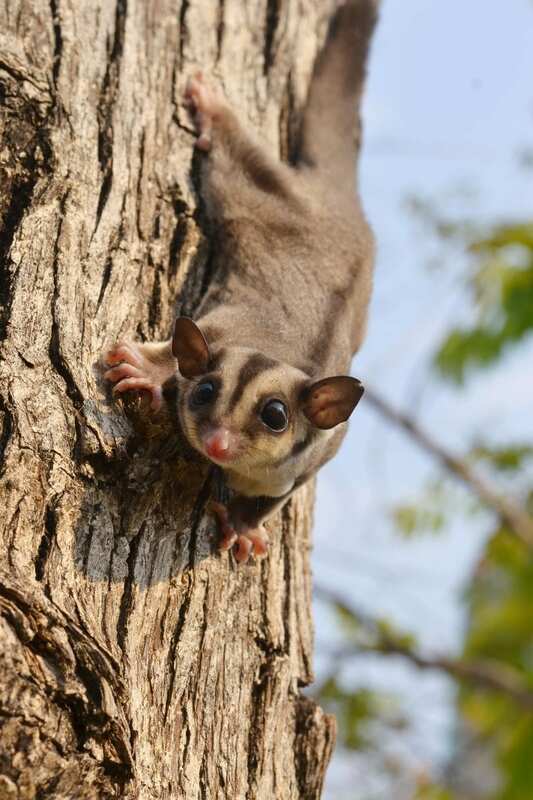 For any new local developments (including modifications) lodged from the 25 November 2018, consideration of the Biodiversity Offset Scheme (BOS) triggers and biodiversity assessment requirements under the BC Act will be required in all 11 Local Government Areas (LGAs) within the Hunter Region. There is one remaining transitional arrangement active within the Hunter Region under the Vegetation SEPP. The special transitional provisions under Cl27 of the Vegetation SEPP were extended for 1 year until 25 August 2019. These transitional provisions allow for clearing for routine agricultural management activities (RAMAs) as defined under the former Native Vegetation Act 2003 (NV Act) in R5, E2, E3 and E4 zones where the predominant use of the land is for agriculture. Local government is a key partner in the conservation and management of biodiversity and threatened species in NSW. As part of Office of Environment and Heritage’s (OEH) Local Government Capacity Building Program a Local Government Regional Support Officer was employed in Region from December 2017 to support and build the capacity of local councils in transitioning and implementing the NSW Government Biodiversity Conservation Reforms. This position is one of eight in the State and is located within the Hunter Joint Organisation (HJO) Environment Division. The HJO Environment Division have been working with Councils to deliver a work program targeted to identified specific needs to assist each Council transition and understand their new legislative requirements and obligations under the new Biodiversity reforms. Facilitate training and capacity building opportunities. Resources and access to information relating to implementation of the biodiversity conservation reforms in the Local Government context is located on our Biodiversity Conservation Reforms Implementation page. If you have any questions relating to the Biodiversity Reforms, please contact the LG Hunter Regional Support Officer, Carlie McClung. 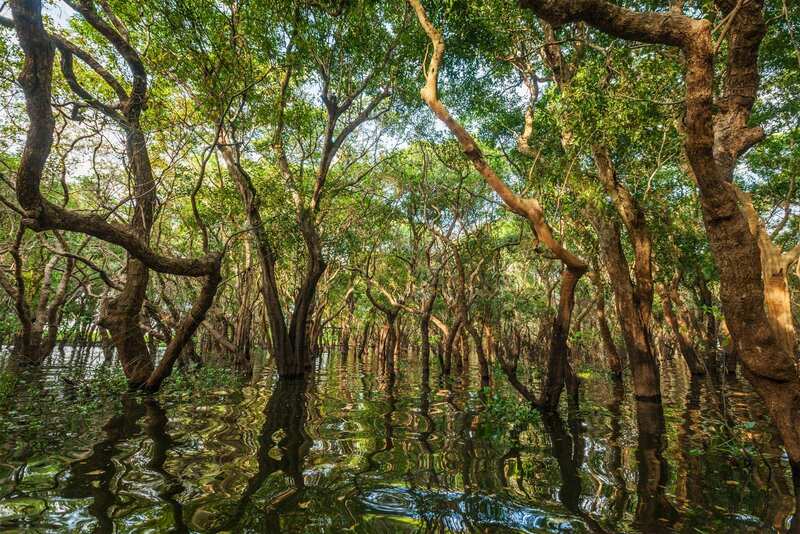 The HCCREMS team have recently completed an Australian Government funded initiative (the Biodiversity Investment Prospectus project) to stimulate both private and public investment in multi-scale conservation and connectivity throughout the Hunter, Central and Lower North Coast region. The project built upon the extensive expertise and repository of local and regional data, mapping and analyses generated by the HCCREMS program over many years. HCCREMS environmental and biodiversity data collection and mapping, and conservation analysis and planning has provided the guiding framework for the implementation of multiple rehabilitation and restoration programs in the region for over the last 15 years. Community education and capacity building programs are integral to increasing awareness and understanding of important natural values in the region. Priorities for rehabilitation and restoration works (including bush regeneration, weed control and fencing) are aligned with the Natural Resources Management agendas of councils, state agencies, Landcare and community groups, providing a truly strategic and coordinated approach to protecting, enhancing and maintaining important biodiversity values. Community education and capacity building programs are integral to increasing awareness and understanding of important natural values in the region. HCCREMS has worked closely with the 14 councils in the region to deliver multiple NRM projects that aim to improve habitat condition, increase species diversity, and improve the resilience of threatened species habitat and ecological communities listed under both the Commonwealth Environment Protection and Biodiversity Conservation (EPBC) Act and NSW Threatened Species Conservation Act. The focus of this two-year project is to undertake rehabilitation and restoration of 15 roadside reserves containing remnant Lower Hunter Spotted Gum Ironbark Forest Community and Hunter Lowland Woodland. In collaboration with participating councils and Hunter Local Land Services and community groups two Weed Blitz Weekend events will be held encouraging local residents to undertake weed control their land. Skip bins will be available for green waste disposal as well technical advice and landholder information packages. 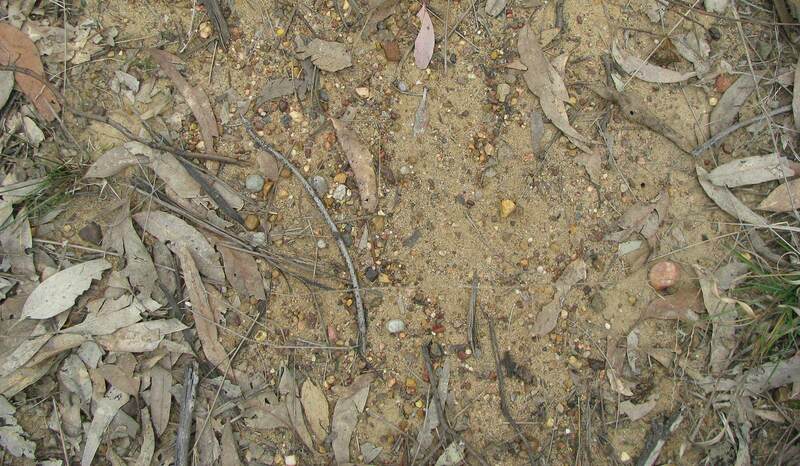 The extent and distribution of Hunter Valley Weeping Myall Woodland has been significantly reduced and modified as a result of past clearing practices and grazing on predominantly arable lands. Only small remnants remain on private property, road reserves, Crown Land, rail corridors and a cemetery. A total of 16 sites on both public and private land was the focus of this project to significantly improve the condition, species diversity and extent from Jerry’s Plain in the south to Sandy Hollow to the north-west. This was successfully achieved through the implementation of weed control and bush regeneration works and the installation of fencing to reduce grazing pressure and encourage native regeneration. HCCREMS and the Worimi Aboriginal Land Council “Green Team” developed and implemented a number of management strategies to address weed invasion, erosion and illegal dumping and access of Worimi Conservation Lands at Nelson’s Bay. During 2014 to 2015 the team successfully completed weed control and bush regeneration activities at two major land holdings covering an area of 40 hectares, illegal dumping assessments and deterrence strategies, and a land management strategy and monitoring program for over 20 parcels of Worimi LALC land. More information on this project is included in the video below. 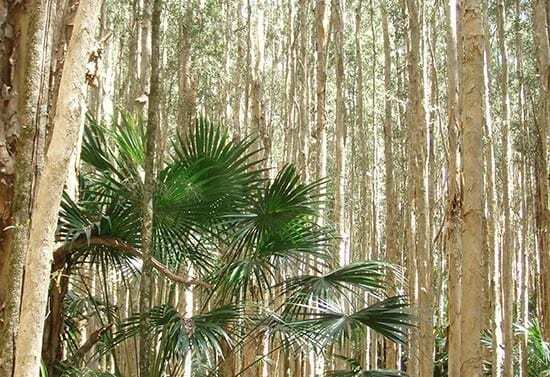 A total of 174 hectares of Littoral Rainforest and Swamp-oak Woodland has been regenerated across six community bushland reserves (Burgess Beach, One Mile Beach, Karloo Beach, Taylors Beach, Salamander Way and Mallabula Reserve) during this 3 year project. African Olive is a highly invasive small tree that has spread extensively throughout the Hunter Valley, becoming problematic on farming land, along creek lines and roadsides and also invading native bushland. 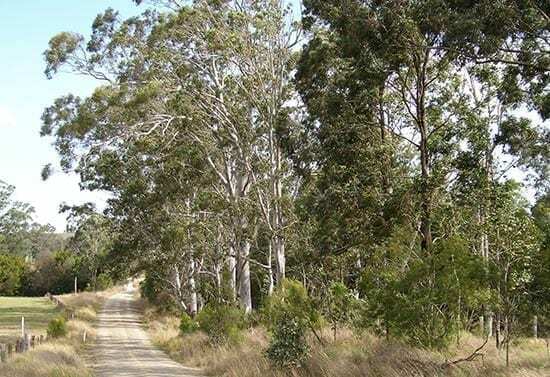 This project identified and controlled African Olive within roadside sites containing Lower Hunter Spotted Ironbark Forest Community and Hunter Lowland Redgum Forest Communities – both listed as endangered ecological communities under the NSW Threatened Species Conservation Act. This nationally critically endangered community occurs as small remnants on road reserves in the Upper Hunter and Muswellbrook Shire Council areas. In many cases these roadside remnants are the only remaining examples of this community in the region. The project undertook control of high priority weeds including African Boxthorn, Galenia, Tiger Pear and African Olive to encourage native regeneration within 5 sites located at Dartbrook, Bunnan, Merriwa and Edderton. Persoonia pauciflora (North Rothbury Persoonia) is listed as critically endangered under the Commonwealth EPBC Act. It is endemic to North Rothbury with a significant percentage of its remaining habitat located within road reserves. These sites also provide habitat for the threatened Grey-crowned Babbler. Key activities included the removal of greater than 90% of weeds through sensitive bush regeneration works at 3 roadside locations. This has improved ecological integrity and resilience of remaining habitat. This project sought to improve biodiversity and water quality at 36 priority creek crossings through delivering on ground vegetation rehabilitation works. It also involved identifying and including the locations within the Regional Roadside Environment Marker Scheme to encourage improved management practises at these locations. The invasion of native plant communities by exotic perennial grasses is listed as a key threatening process under the NSW Threatened Species Conservation Act. 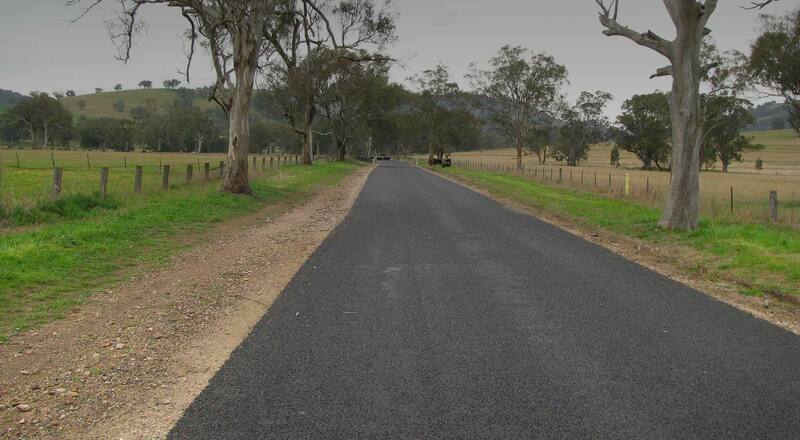 This project sought to assist Singleton and Dungog Councils, community groups and local landowner’s restore the natural resilience of native grass communities through the control of invasive grass weeds (particularly Coolatai grass and African Lovegrass) along approximately 100 kilometres of roads. Diuris bracteata was thought extinct until rediscovered north-west of Gosford in 2004. The species remains classified as Extinct under the Environment Protection and Biodiversity Conservation Act and is listed as Endangered under the NSW Threatened Species Conservation Act. Fourteen of the fifteen known populations of this species are located within the Gosford council area within road reserves, highlighting the significant importance of roadside conservation to its long term survival. This project directly assisted Gosford council to protect and manage Diuris bracteata populations through the removal of invasive weeds and ensuring roadside design, construction and maintenance practices are compatible with the conservation needs of the species. Maintaining the aesthetic character of the landscape. The program pursues a strategic and coordinated approach to the management of roadsides that encompasses all aspects of roadside management, from planning and environmental assessment, through to implementation of road maintenance and construction activities. The program has developed a suite of tools and resources that relate to all aspects of road planning, construction and maintenance and which are relevant to a range of staff including planners, asset managers, field supervisors and operations staff, GIS officers and natural resource management / environmental staff. Implementation of on ground works targeting the protection and rehabilitation of ecologically significant communities located in roadsides. The program pursues a strategic and coordinated approach to the management of roadsides that encompasses all aspects of roadside management. 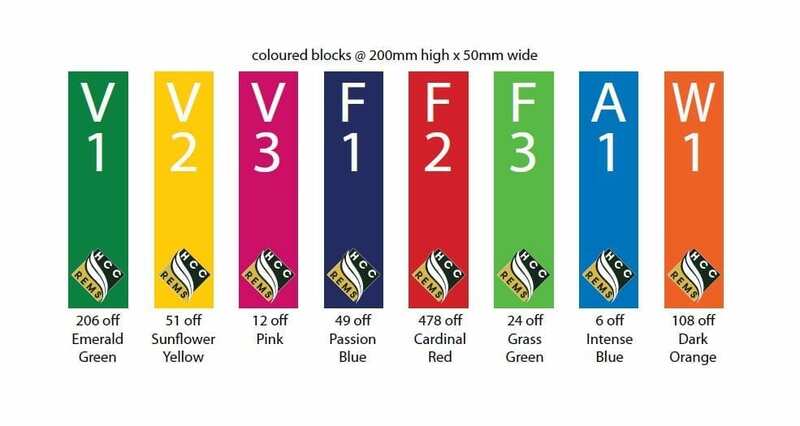 A number of councils are actively implementing the HCCREMS Regional Roadside Environment Marker Scheme to clearly identify ecologically significant roadside sites. Locations are marked with orange metal posts that include codes representing key management issues or roadside values. Each code directly links to a management field guide held by maintenance and construction staff. These provide clear directions on best practice management approaches to be implemented to avoid compromising the ecological or other values of the site. Singleton, Muswellbrook, Gloucester, Wyong and Upper Hunter Shire Councils have installed over 700 roadside markers at locations containing endangered ecological communities, creek crossings, threatened species and orchids. Port Stephens, Maitland and Gosford Councils have installed markers at roadside sites containing remnants of the Endangered Ecological Communities Lower Hunter Spotted Gum Forest and Hunter Lowland Redgum Woodland communities. Copies of the Roadside Marker Field Guides & Regional Roadside Resource Kit can be purchased from our Resource Library.